Gaborone is the capital of Botswana. This is one of the obvious destinations in the country and offers a great number of rewarding attractions for travelers. The city is not typically beautiful, but is filled with a range of sights and things to do. The low cost of living is another excellent reason to visit Gaborone. 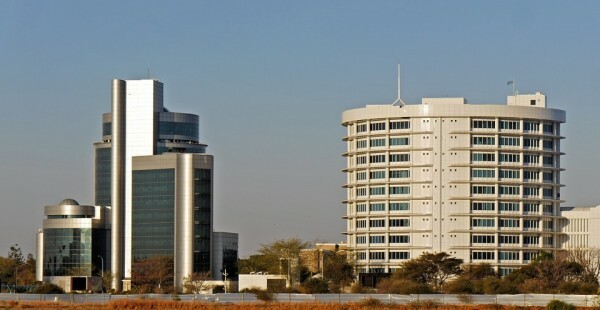 Gaborone is famous for having the third lowest cost of living. The city was featured in the No 1 Lades Detective Agency Series by Alexander McCall, and it has helped bring the city to the limelight in many English speaking countries. Gabrone is situated in between the Oodi and Kgale Hills. The Mall is the center of the city and the heart of the main centers for tourism as well as finance. The Botswana National Museum is situated at one end of the Mall. The museum is home to the Botanical Garden, the Octagon Gallery, The National Library and the National Art Gallery. The museum is filled with a range of traditional paintings and crafts. The museum is also famous for the preservation of Tsodilo, a major heritage area in Botswana. The museum houses art work by Lucas Sithole and Thomas Baines, as well as a good collection of Bushmen art. There are a number of sights in the vicinity of the city as well. There are many attractions such as the Gaborone Dam in the south of the city. The area contains a range of attractions such as boating, playgrounds and parks. Gaborone Game Reserve is situated to the east of the city. The small size of the reserve is made up for admirably by the convenience of access. The reserve houses animals such as warthogs, springbok, zebra, wildebeest and kudu.